Launched in 2003 by Jorg Hysek, the V-King timepiece heralded an aesthetic and technical revolution in the creative world of Swiss watchmaking. The case-middle slides out sideways, allowing the entire movement and dial to be introduced through the side of the case. Two joints in black rubber placed between the two side plates, and eight six-sided screws, ensure that the watch is perfectly watertight. 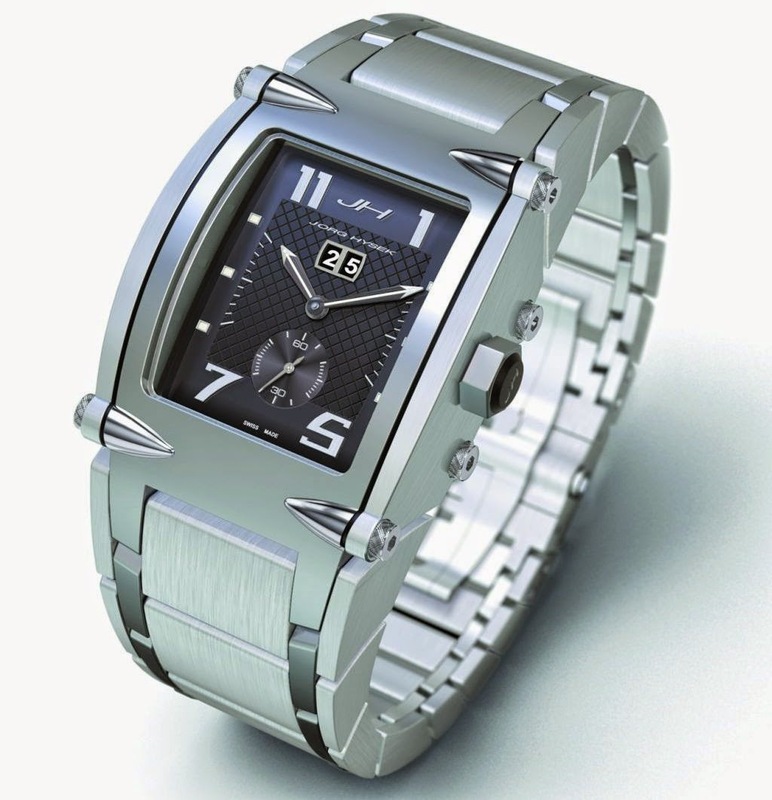 The integral steel bracelet highlights the powerful and innovative design of this model. The V-KING model is available with the choice of ETA 2824-2, Dubois Dépraz or Quartz movements.